Vice President and Prime Minister and Ruler of Dubai, His Highness Sheikh Mohammed bin Rashid Al Maktoum, along with Queen Elizabeth II, the Queen of the United Kingdom and the Commonwealth, witnessed the activities of the third day of the Royal Ascot festival, which will continue until the upcoming Saturday at the prestigious Ascot Racecourse in England. 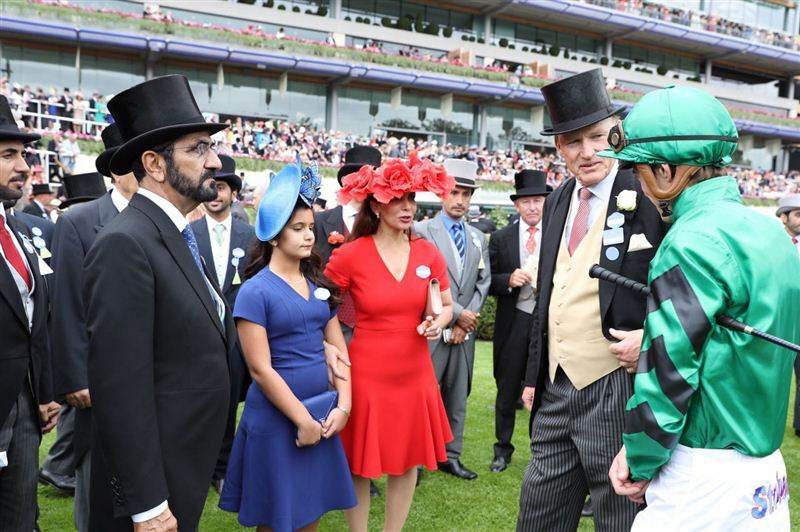 His Highness Sheikh Mohammed bin Rashid expressed his satisfaction with the excellent and successive victories that the Godolphin team has continued to achieve in the current season of the Royal Ascot festival. 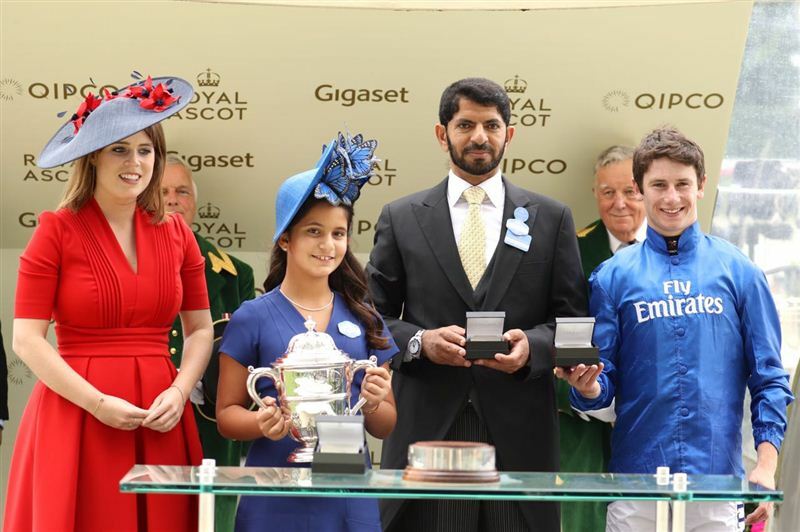 The blue team won today first place in the Hampton Court Stakes round for the mile and quarter of a mile distance in the third category after a fierce competition between 16 horses, who were defeated in the end by Godolphin's Benbatl, ridden by jockey Oisin Murphy and trained by Emirati Saeed bin Surour. The second place was taken by Orderofthegarter, which was ridden by jockey Ryan Moore and trained by Aidan O’Brien. Sheikha Al Jalila bint Mohammed bin Rashid Al Maktoum ascended the podium to receive the trophy of this great victory in one of the most prominent rounds in the prestigious equestrian festival. 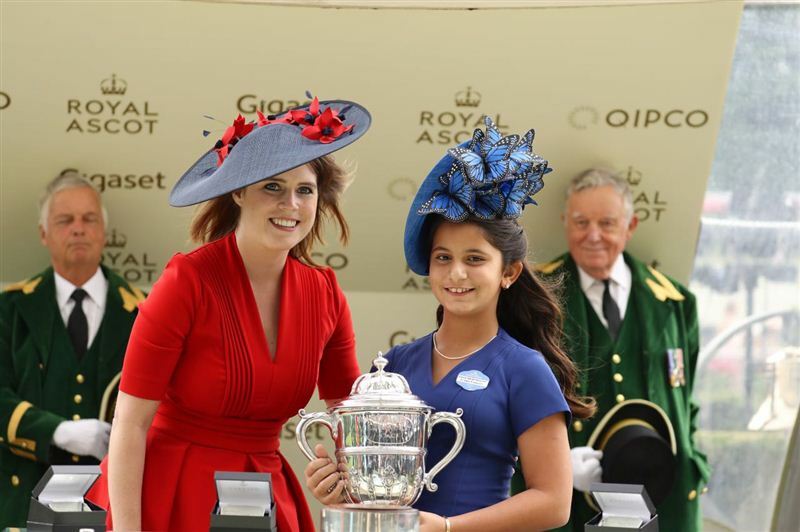 In the sixth and final round, King George Stakes, the UAE horses took the lead winning the first three spots to complete their journey of accomplishments. This round, where the distance was a mile and half a mile, was led by Atty Persse, ridden by jockey Kieran Shoemark and trained by Roger Charlton. 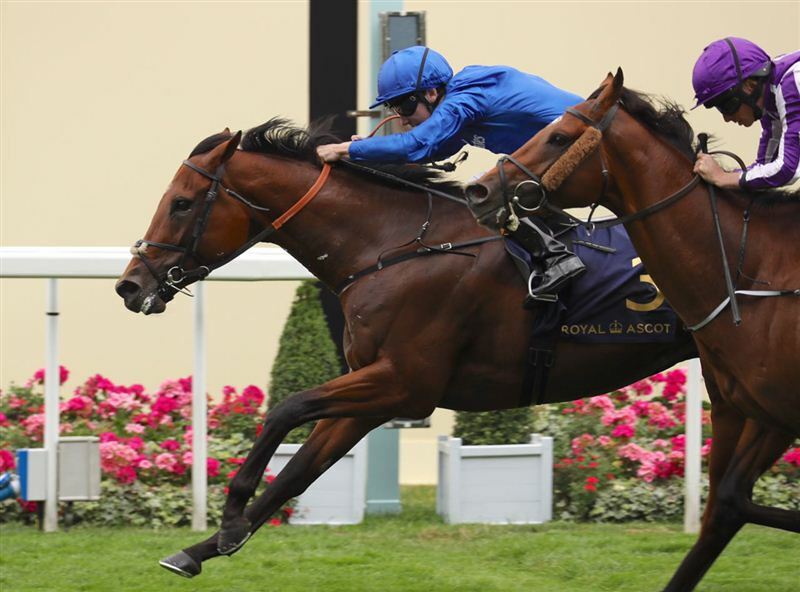 The second place was also taken by Godolphin's horse First Nation, ridden by jockey William Buick and trained by Charlie Appleby, while the third place was taken by Bear Valley, owned by H.H. Sheikh Hamdan bin Mohammed bin Rashid Al Maktoum, Crown Prince of Dubai, ridden by jockey Pat McDonald and trained by Mark Johnston. 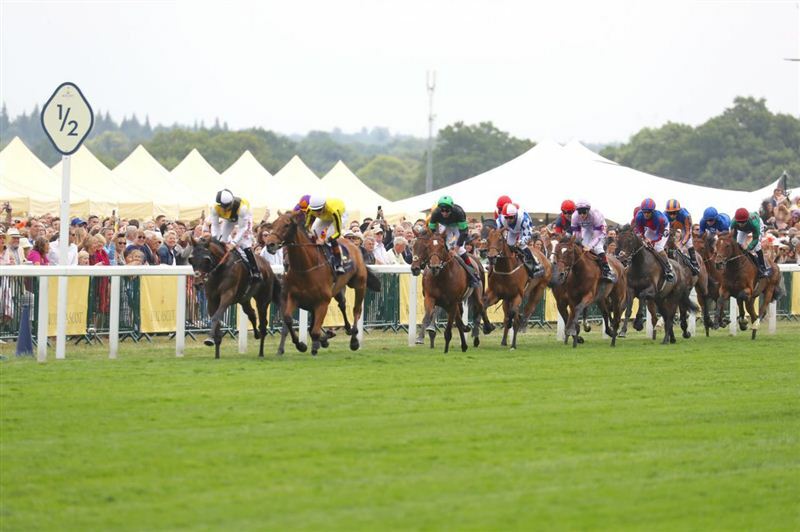 The main round, the two-and-a-half mile G1 Gold Cup race, for four-year-old horses, was won by Big Orange. He proved to be a champion in the most important round of Royal Ascot 2017. The festival is one of the most important horseracing events in the world due to ancient traditions that have been followed for over 300 years. Moreover, it witnesses the participation of the best horses in the world who compete for the honour of victory at any round. The third day was also attended by HRH Princess Haya bint Al Hussein, wife of H.H. Sheikh Mohammed bin Rashid Al Maktoum, alongside a number of officials and horse owners from across the world.